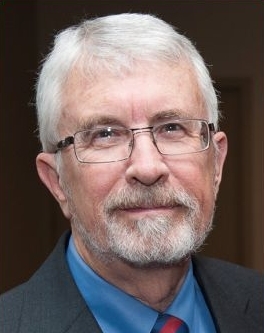 John M. Kalb was employed at Florida State University (FSU) from 1973-2003 in the Budget and Analysis Department as a Research Assistant, 1973-78; Coordinator of Institutional Research 1978-1984; and Director of Institutional Research, 1984-2003. After retiring from FSU, he became Director of Institutional Research at Southern Methodist University (SMU) from 2003-2013. At SMU, Kalb was the Southern Association of Colleges and Schools, Commission on Colleges (SACS) Liaison and coordinated the university’s most recent Reaffirmation of Accreditation study for SACS. While in the State University System of Florida, Kalb worked extensively with that states’ data files and worked extensively with the other universities in the system in a data-sharing network. Kalb has been active in the Florida Association of Institutional Research, the Southern Association for Institutional Research (SAIR), and the national AIR. He served on the Board, was Vice President and Program Chair, and President of SAIR. Kalb also served as the representative of FSU to the Southern University Group, a data exchange of 32 southern state universities and in a three-year term as Chair (1997-2000). While at SMU, he served as the Chair of the Colonial Group, a Data Exchange of 13 non-COFHE (Consortium on Financing Higher Education) research universities. The Colonial Group involves prestigious universities in the eastern U.S., including Boston University, Boston College, Wake Forest, George Washington, and Notre Dame. Kalb received B.A. and M.A. degrees in History from the University of Missouri, Columbia, and a Ph.D. in History from FSU. Other educational experience includes a year as a Graduate College Fellow at Texas A & M University, and a four course Institutional Research program at FSU. Kalb is a veteran having served in the U.S. Army as an Artillery Officer. While in Tallahassee, he also regularly taught History courses at FSU.